I was asked to upgrade the building with regard to access for the disabled, kitchen and toilet facilities, circulation space, lighting, fire alarm & emergency lighting systems, and decoration, while remedying two large outbreaks of dry rot. The budget was very tight. 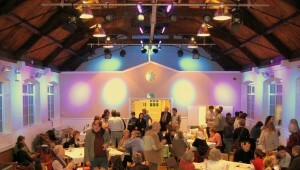 Additional facilities were created within one end of the main hall. 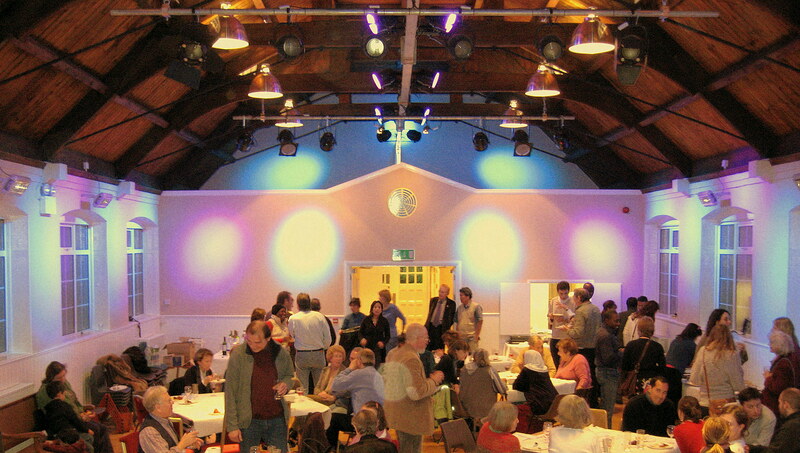 DMX-controlled theatre and general lighting was installed, programmed for up to 36 scenes to meet the needs of the various users and provide colour rendering changes and stage lighting. 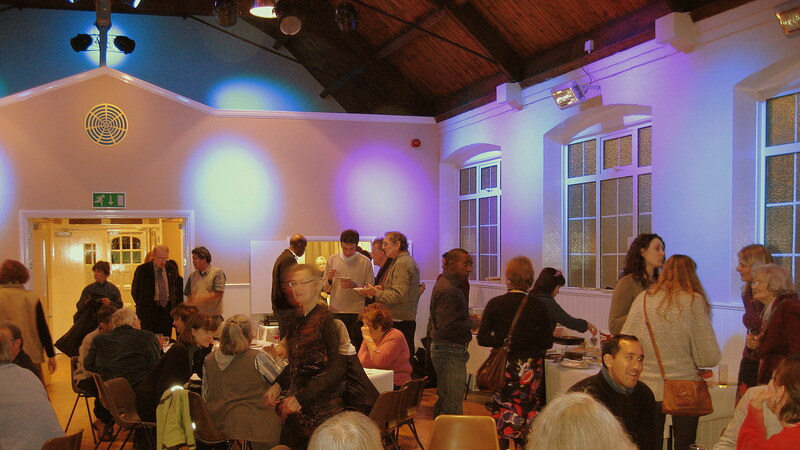 The building has been owned for many years by Subud Britain, a registered charity, and is used principally a place of worship. It is also hired out for a wide variety of activities, important as a community resource, and to defray the cost of maintenance and improvements. 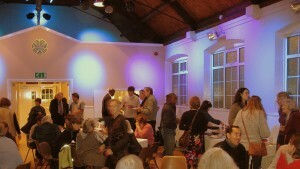 It has two main halls plus ancillary meetings rooms and other facilities. The funds for the renovation are being paid back over 5 years via the increased extent of room lettings as a result of the refurbishment. Social enterprise at its best!